Make a real statement with this watch from the OVER PUNK collection by eponymous designer Jean Paul Gaultier, features a wide cuff bangle strap accented with conical-inspired links to catch the light, you can adjust to the perfect size. Famous for having brought high fashion to the masses and street style to the catwalk, Jean–Paul Gaultier has an unrivalled ability to create a harmonious balance between the radical and the traditional. 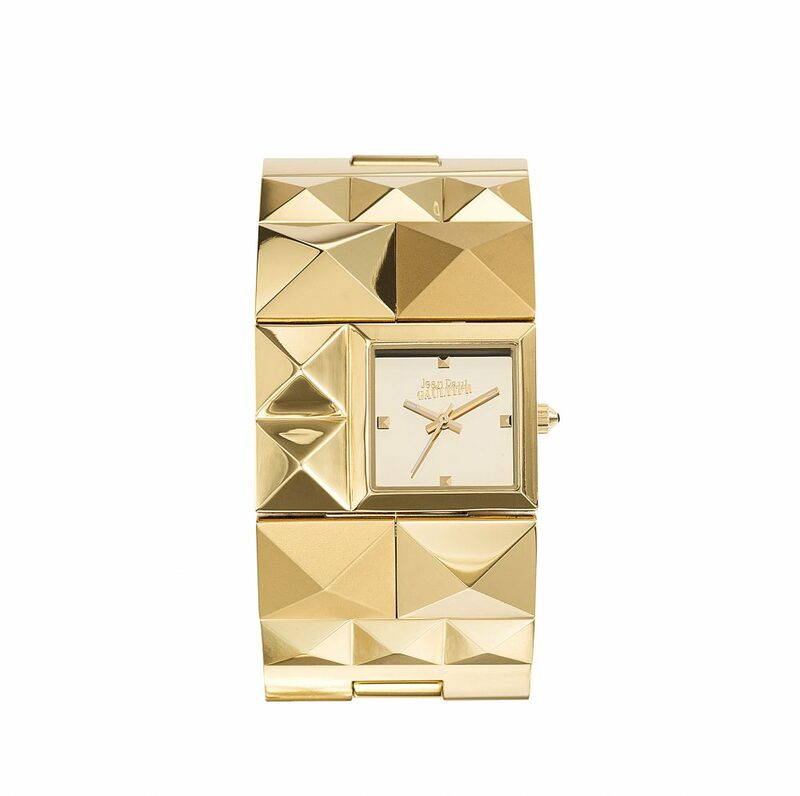 This innovative and stylish collection of watches break the mould. Each watch comes with its own official Jean Paul Gautier presentation box or tin, official guarantee and instruction manual (where applicable).